Remember back in the day when overclocking your processor was something known to only the most elite of computer geeks? Times have surely changed. Especially since today, just about anyone can overclock their PCs—with only a basic understanding of how the parts work. And why wouldn’t anyone want to do this? Surely everyone wants boosted performance, right? Well, not so fast. It turns out that things become pretty iffy with your processor’s warranty when you choose to overclock. So, if you want to see how overclocking will alter your warranty, join us today as we tackle this complex issue. What Exactly is Overclocking/Why Would You Want to Do It? Before we begin, let’s first discuss what overclocking actually is. In simple terms, overclocking is when you modify your CPU to reach speeds that go well beyond the manufacturer’s intentions. In other words, you’re increasing processor clock speeds. But, there’s a huge catch here: you need to do it right—otherwise, expect slowdowns and crashes every 17 minutes. And in worst-case scenarios, a fried CPU—not good. That’s not to say that overclocking is some super-difficult task that only tech-masters can perform. In fact, it’s quite the contrary. For starters, Intel and AMD almost encourage their buyers to overclock by selling unlocked CPU units accompanied with online guides. And anything with a “K” suffix is designed to be overclocked. As far as why you’d want to overclock, you’ll find two main reasons—performance and price. Performance speaks for itself—who doesn’t want boosted clock speeds? Not only will the PC run faster, but it can even become capable of running certain high-powered games and programs as well. Then there’s the price. Not only is overclocking affordable, but it’s also a cheap way of gaining some top-of-the-line performance. 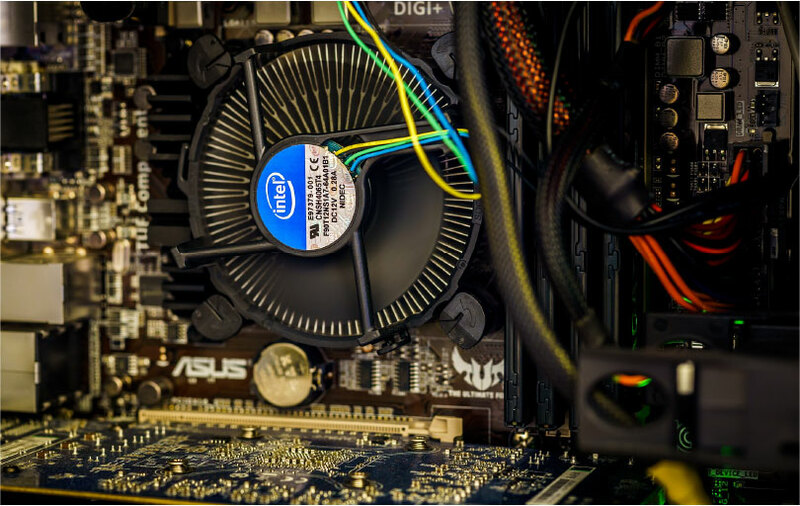 All you need is to buy a cheap processor, and with some reasonable modifications, you’ll achieve high clock speeds—all without the high price of processors that boost these speeds by default. But keep in mind that overclocking is not intended for all PCs. As a whole, you won’t want to overclock an all-in-one PC, laptop, or mac. If you try, you’re almost asking for broken parts and a voided warranty. That aside, when it comes to overclocking, you’ll want to keep three different things in mind–GPU, motherboard, and RAM. You’ll overclock your GPU from various software such as EVGA Precision X, MSI Afterburner, Zotac Firestorm, etc. Overall, this method will not void your video card’s warranty. But keep in mind that hardware modifications are often not protected by warranties. In fact, most manufacturer warranties will not cover power or voltage related damages. Will Overclocking Void My Warranty? So, overclocking is not without its risks—and a voided warranty is certainly one of them. On the one hand, many companies will allow you to retain your warranty only if you overclock to a certain extent. Part of the reason for this decision involves the amount of luck involved with overclocking. Two people can buy the same exact motherboard. But, while person A may only be able to overclock the CPU by 3 MHz, person B might realistically reach a full GHz. And no, this isn’t a result of differences in experience or tech. This all comes down to luck. So—you’ll often find that CPU makers only allow warranties if upgraded below a certain speed. And then there’s the issue of overpowering the processing chip. It’s no surprise that applying more volts to a chip causes it to burn out sooner. So most companies will void a warranty for this since you’re deliberately shortening the lifespan of the chip. This is known as an “implied warranty,” which you’ll actually find in the warranties of AMD and Intel. So, does this mean all hope is lost if you decide to overclock your PC and mess up? Not at all! If you buy your processor through Intel, you can buy a protection plan. So if you completely fry your CPU chip trying to overclock, you’re protected. Naturally, though, this plan does increase in price with more expensive motherboards. So keep this in mind when considering your budget. Now, keep in mind that Intel really does not recommend overclocking beyond processor specifications. By this, the company discourages exceeding the frequency of the processor, applying excessive voltage, or removing the included heat spreader (often dubbed “de-lidding). As you’d expect, these actions will void your warranty. But, when it comes to CPU overclocking, all damage caused by user modification is not covered by warranties. There’s no doubt that overclocking CPUs became a trend of PC owners in recent years. And how could it not? The speed and performance boost for the low price is a hard deal to pass. Unfortunately, manufacturers are slower when it comes to jumping on this trend. While you have companies like Intel offering protection plans, note that not every processor will offer a similar warranty. So be sure to carefully read how overclocking will impact your warranty before you jump on board. The last thing you’ll want is to fry a CPU chip and lose your entire investment.